The Tokyo Organizing Committee of the Olympic and Paralympic Games recently released the Tokyo 2020 Summer Olympics events schedule, and just a few days after that, they released an outline of Tokyo 2020 Olympic ticket prices. Tickets aren’t on sale quite yet, but we can start getting an idea of what our budget needs to be. 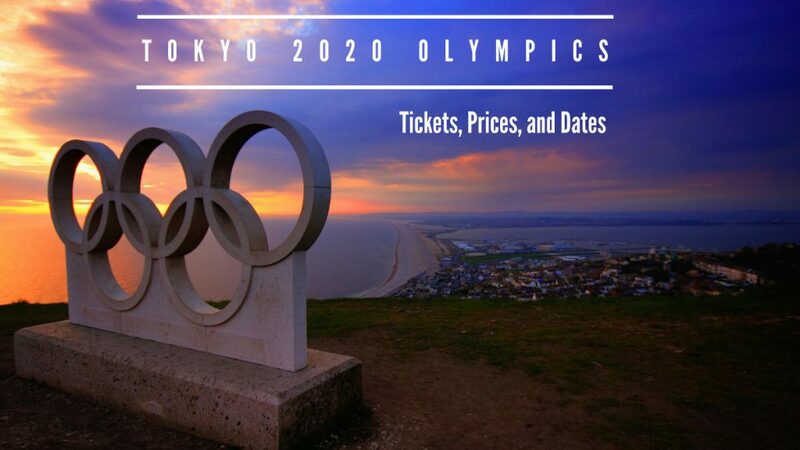 Find out all the need to know information about the Tokyo 2020 Summer Olympic Ticket costs and sales! NOTE: The Tokyo Organizing Committee of the Olympic and Paralympic Games has only recently started releasing this information. This page will be updated as more information becomes available about Tokyo 2020 ticket sales. Planning on visiting Japan for the Olympics? Check out all the other cool things to do in Tokyo! The Tokyo Organizing Committee of the Olympic and Paralympic Games has announced that half of all event tickets will be priced at ¥8,000 (roughly $72 USD or €62 EUR) or less. If you reside outside of Japan, ticket prices may vary from the outline released by the Tokyo Organizing Committee of the Olympic and Paralympic Games due to fees, exchange rates, shipping costs, etc. The process for buying tickets to the Olympics varies depending on whether or not you are a resident of Japan. Also, keep in mind that VISA will be the only payment type accepted on the Tokyo 2020 Ticket website and at the ticket box offices (although National Olympic Committees (NOCs) in other countries may accept other payment types at their own discretion). Like the previous Olympic games, there will be a lottery system that will allow residents to get “early-bird” tickets. Residents of Japan who are interested in obtaining tickets can obtain a TOKYO 2020 ID, which will allow them to apply for tickets before sales open up to the rest of the public. After registering, residents will be able to apply for the type of ticket and number of tickets they desire. If they are selected during the lottery, they will be informed of such and given time to submit their payment. If they are not chosen during the lottery process, they are still able to purchase tickets after tickets sales are opened up to the rest of the public and available on a first-come first-serve basis. Tickets for those who reside outside of Japan will be available for purchase through the National Olympic Committee (NOC) of their respective country or an Authorized Ticket Reseller (ATR). The application for buying tickets will vary from country to country. Tickets are not yet available for sale in other countries, and likely won’t be until the end of the lottery system in Japan (around the end of summer 2019). More information regarding ticket vendors in other countries will be available in spring 2019. Are you ready to start planning your trip to the Olympics in Tokyo, Japan?